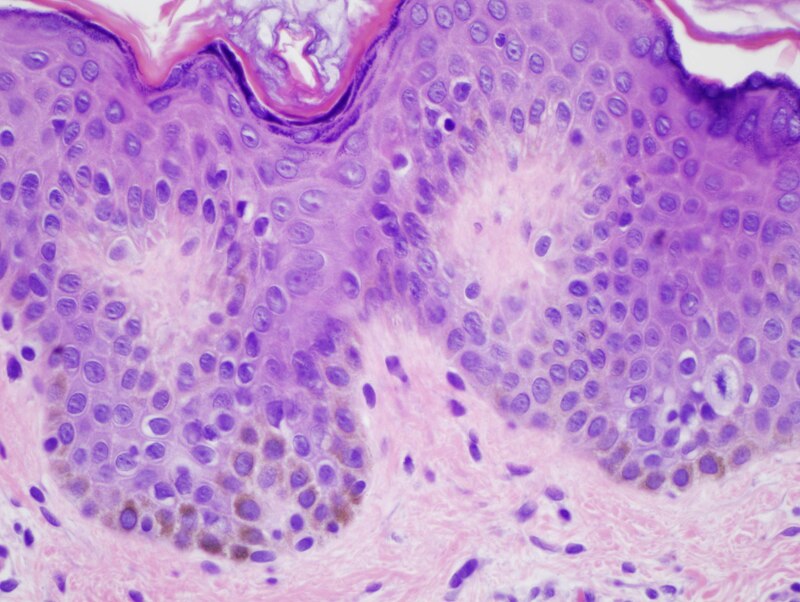 The findings are highly characteristic for a Becker's nevus. 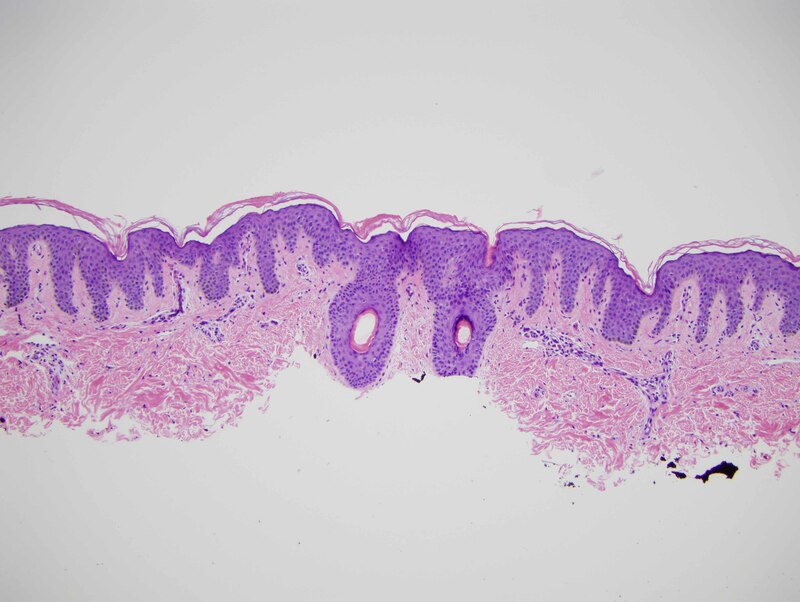 In particular both biopsies show the same fundamental process which is a mild slightly irregular epidermal hyperplasia with hypermelanosis compatible with an epidermal nevus-like component. 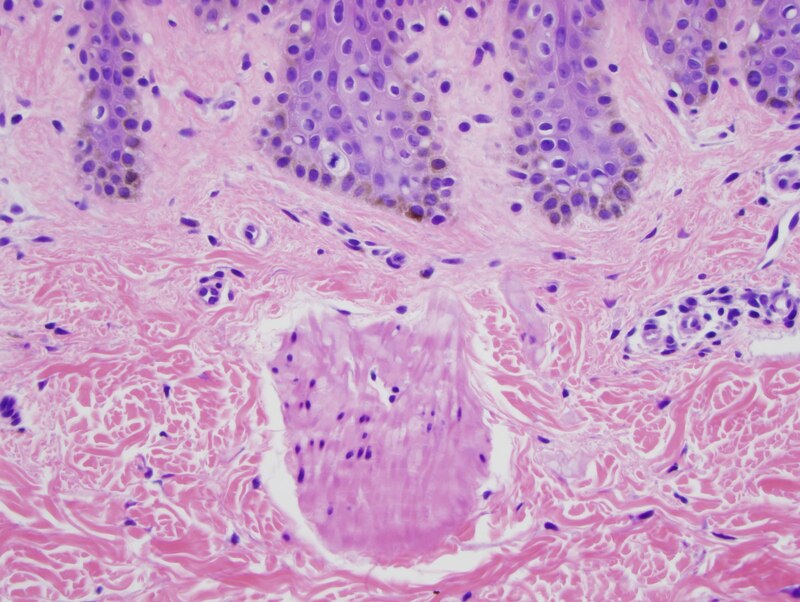 There is variable hypertrophy of smooth muscle within the corium primarily in a hamartomatous context in that the smooth muscle is unassociated with any hair follicles another characteristic hallmark of the Becker's nevus. Thirdly there is one area where there are two juxtaposed terminal hairs. Indeed an increase in the number of terminal hairs can be observed. This is an acquired lesion appearing in childhood and early adolescence most authorities feel it is a cutaneous hamartoma. In rare instances a Becker's nevus may coexist with developmental defects such as ipsilateral hypoplasia of the breast or limb or skeletal anomalies such as scoliosis or spina bifida occulta. 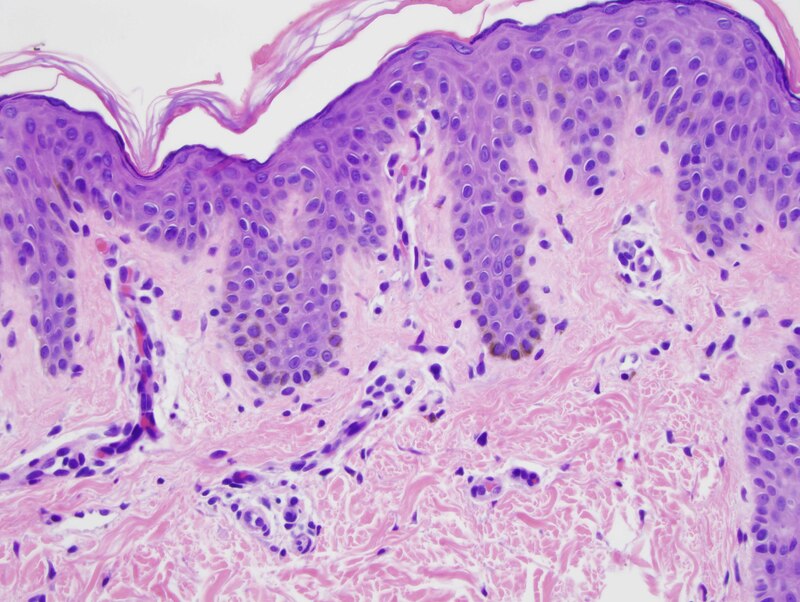 An alternative appellation is pigmented hairy epidermal nevus. There may be an autosomal dominant pattern of inheritance in some cases. It will present as a large area of pigmentation measuring up to 20.0 cm in diameter with possible hypertrichosis and rare instances of a co-existing lymphangioma.